©2005 Clarity, a Division of Plantronics, Inc.All Rights Reserved. 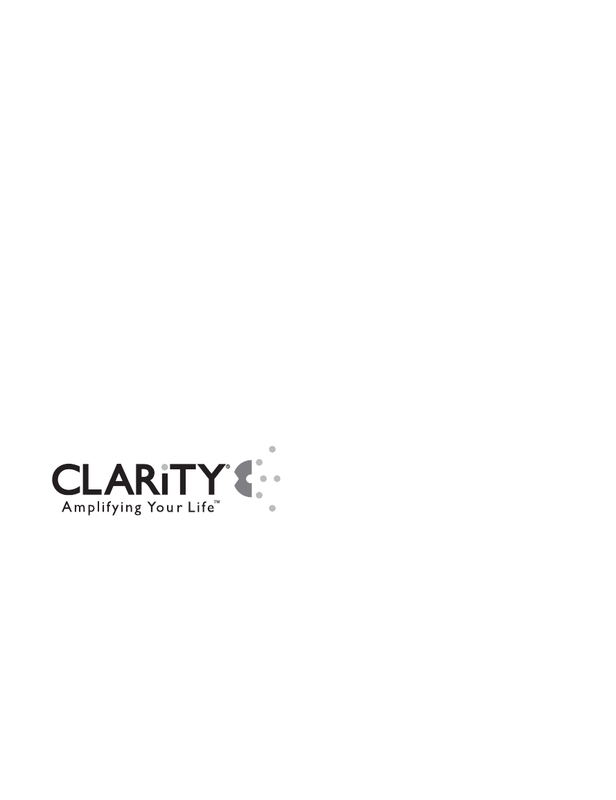 Clarity Power are trademarks of Plantronics, Inc. Clarity is a well-known supplier selling the range of stuff related to automotive. We have 80 original handbooks created by this distributer . Now you're reading a user guide for Clarity Amplified Phone C2210.